Across the street from my house in Hillsdale, Michigan, rests the body of Ransom Dunn, a historian at Hillsdale College and one of the founders of the Republican Party. I can see his gravestone from my driveway, and I can see my house, rather clearly, from his gravestone. In February, 1854, disgusted with the specious arguments and so-called “popular sovereignty” of Stephen Douglas’s heinous Kansas-Nebraska Act, Ransom and a number of other faculty and administrators from Hillsdale and elsewhere met under a grove of oak trees in Jackson, Michigan. There, they founded the Republican Party, dedicated to extending Article Six of the Old Northwest Ordinance of 1787 to the Pacific Ocean. This was back when the party actually stood for something beyond imperialism, corporate greed, and social lunacy. 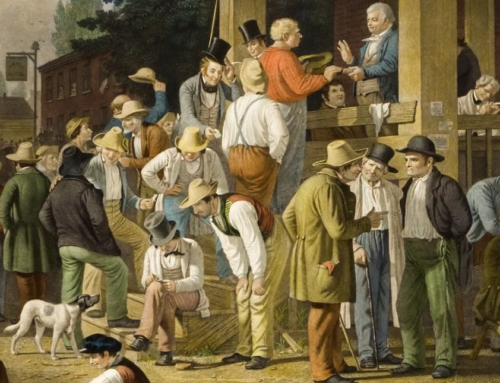 The choice of meeting under the trees in 1854 was neither accidental nor arbitrary. In the Anglo-Saxon tradition, older even than the arrival of Christianity, great men had long met under groves of oak trees (the oak symbolized the power of Thor, Norse god of thunder) and made their laws. Tacitus had first noted something like this in his powerful Germania, and Alfred the Great had met with his Witan (his counselors or his Congress) under groves as he had codified the common law. Importantly—perhaps, critically—it’s worth remembering that Alfred and his Witan did not believe they had the right to make laws. Only God had that power. Instead, Alfred and his men believed they could discern the good and the ill of a thing only through deliberate prudence. With each law that already existed, they had only three choices. They could abolish it; they could reform it; or, they could allow it to continue without comment. In no way did they believe they could make a law. A man can no more make a law than he can make a new primary color. He can only see what has always been there. Sometimes he sees clearly, sometimes dimly, and sometimes not at all. Thomas Jefferson never hid his love for the contributions of the Anglo-Saxons and even proposed including the probably mythic figures Horsa and Hengist on the great seal of the United States. They had appeared in the Anglo-Saxon Chronicle, in Monmouth’s history of the kings of England, and even in one of the Icelandic eddas. Later, they would appear in the mythology as well as in the scholarly work of J.R.R. Tolkien. Why not in Jefferson’s mind and works? 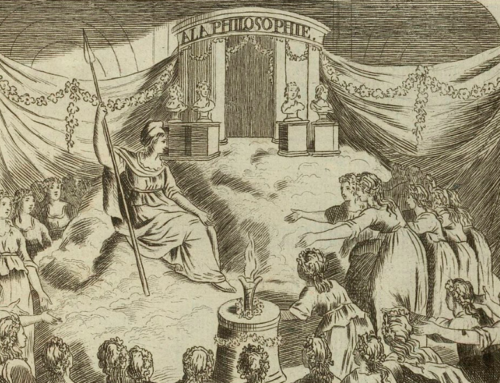 As one of Jefferson’s best biographers, Gilbert Chinard claimed, “The Jeffersonian philosophy was born under the sign of Hengist and Horsa, not of the Goddess Reason.” The annual meetings of the Witan with the Saxon king could re-emerge and thrive in the American continent, the Virginian hoped. In Roman myth, one only has to look to Book Eight of The Aeneid, a chapter that presumably inspired St. Paul (in Ephesians) as well as such important early Americans as John Quincy Adams. And all the wars they waged. In Roman Catholic hagiography, St. Boniface destroyed a Friesian Oak of Thor with only one stroke of his axe. At the moment of its destruction, an evergreen, the symbol of eternal Christianity and hope, sprang up in its place, upon which Boniface’s followers placed candles so that the evangelist could keep preaching in the dark. 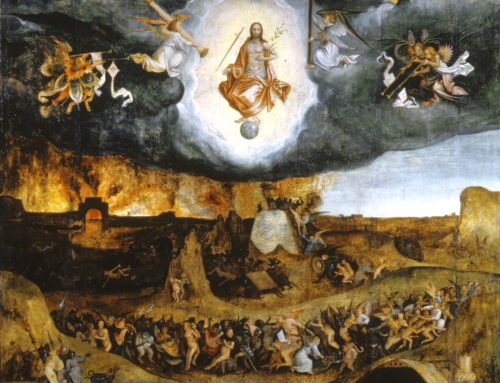 The sermon enraptured the Germans, and Christianity gained a new foothold on the continent. No one in recent memory has so mythologized the tree, so awaked us and reminded us—as a western culture—as to its primal power as has the Oxford don, J.R.R. Tolkien. In his fertile imagination, arguably, nothing demonstrated his originality more than the Ents, the walking, sentient shepherds, who even met in a Witan!—an Entmoot—to decide for peace or war. The natural order is restored…sometimes under the shelter of and sometimes through the character of trees. My favorite characters in the Lord of the Rings sage are Samwise Gamgee and Treebeard. There are also many Biblical allusions comparing the people of God to trees (Psalm 1 comes to mind). What a lovely article. There is much to consider here. “He has a mind of metal and wheels:”. Was there ever a better summary of the modern frame of mind; living things are but tools and means, technology and machinery become the model for life. Treebeard has been one of my favorite characters in LOR as well. I was very disappointed in how he and the Ents were shown in the movies. Tolkien had a deep and profound appreciation for trees, plants and the natural order; something much more deep and profound than mere “environmentalism”. He appreciated the sacramental nature of Nature and the well of understanding and character that humnan kind could access from a sincere appreciation of and association with the living world.